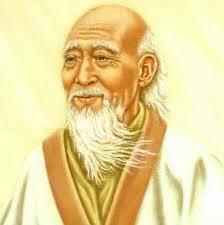 These Lao Tzu quotes are positive and inspirational words of wisdom. 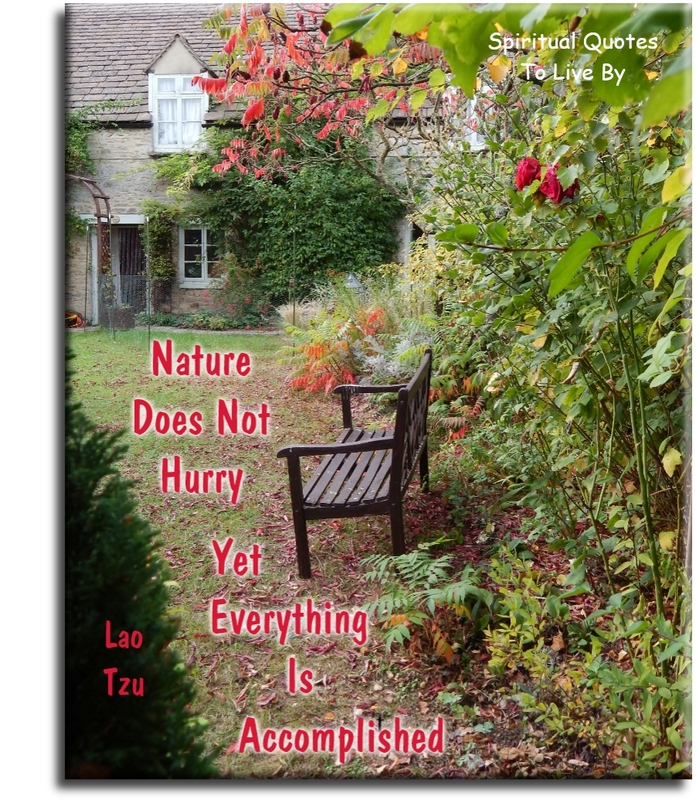 Born around 600BC Lao Tzu (also known as Lao Tsu and Laozi) was a Chinese philosopher, the founder of Taoism and the author of the Tao Te Ching. By letting go... it all gets done. Health is the greatest possession . Express yourself completely, then become quiet. Open yourself to Heaven and Earth and be like the forces of nature. When the wind blows, there is only the wind, when it rains, there is only rain, when the clouds pass, the sun promises to shine. If you open yourself to insight, you are at one with insight, and you can use it completely. Open yourself to Heaven and Earth. Then trust your natural responses and everything will fall into place. 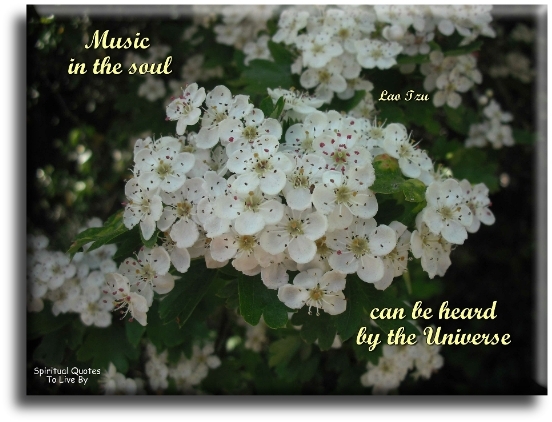 Figure out the rhythm of life and live in harmony with it. He who does not trust enough... will not be trusted. He who knows that enough is enough... will always have enough. I thought I knew you, but it was only me. The you that you truly are is not the you I see. My mind has formed your image, but you have already travelled on. I want to see only you, but I see you through me. If there is to be peace in the world... there must be peace in the nations. If there is to be peace in the nations... there must be peace in the cities. If there is to be peace in the cities... there must be peace between neighbours. If there is to be peace between neighbours... there must be peace in the home. If there is to be peace in the home... there must be peace in the heart. If you understand others - you are smart. If you understand yourself - you are illuminated. If you overcome others - you are powerful. If you overcome yourself - you have strength. If you know how to be satisfied - you are rich. If you can act with vigor - you have a will. If you don't lose your objectives - you can be long-lasting. In dwelling... Live close to the ground. In thinking... Keep to the simple. In conflict... Be fair and generous. 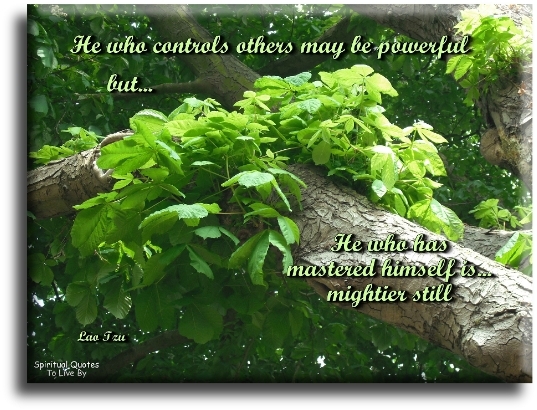 In governing... Don't try to control. In work... Do what you enjoy. In family life... Be completely present. 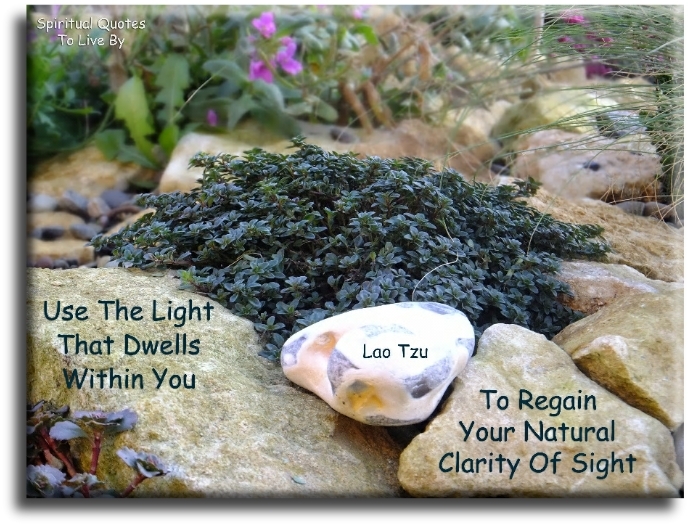 Let it be still... and it will gradually become clear. Don't resist them, that only creates sorrow. Seeing the small is called clarity. Keeping flexible is called strength. Using the shining radiance you enter the Light, where no harm can come to you. This is called Enlightenment. The past has no power to stop you from being present now. Only your grievance about the past can do that. What is grievance?... The baggage of old thought and emotion. 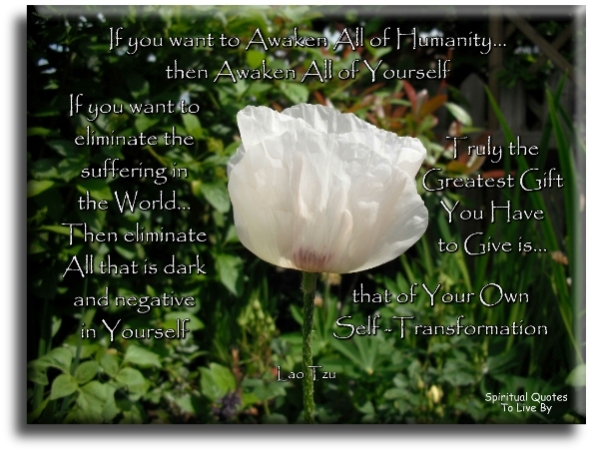 The reason why the Universe is eternal is that it does not live for itself.. it gives life to others as it transforms. The Sage sees the world as an expansion of his own self. So what need has he to accumulate things? The snow goose need not bathe to make itself white. Neither need you do anything, but be yourself. 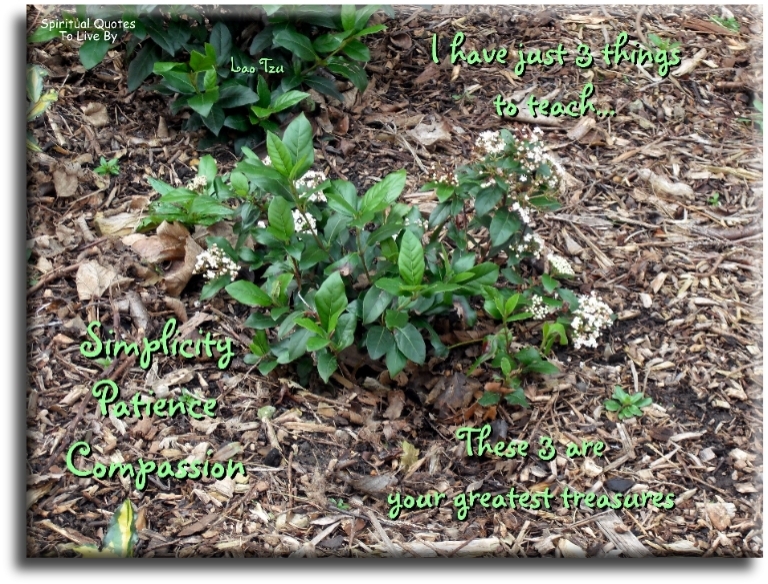 The Way is like an empty vessel that yet may be drawn from. To become learned... each day add something. To become enlightened... each day drop something. To lead people... walk behind them. To see things in the seed... that is genius. What is firmly rooted... cannot be pulled out. 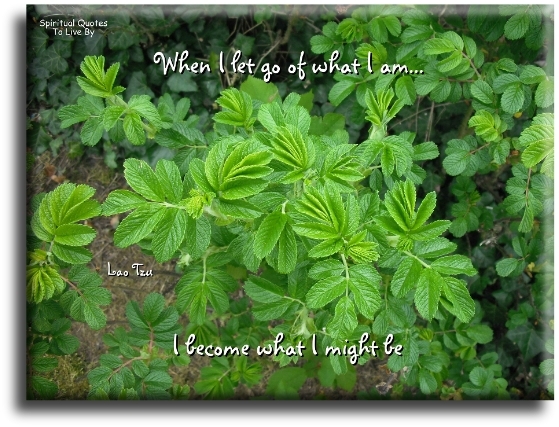 When I let go of what I am... I become what I might be. When you accept yourself... the whole world accepts you.